Stunell Technology provide training for engineers and engineering managers involved in the product development process, delivered by an engineer with extensive experience of product development in the automotive sector. The brand needed to instill trust, inspire confidence and give the company bold but sophisticated look. 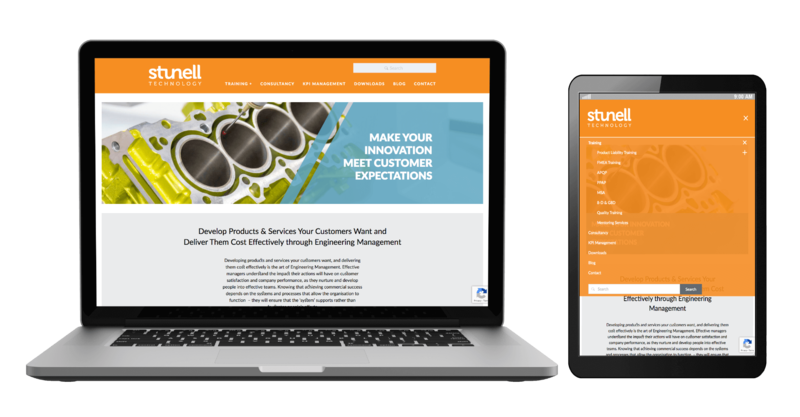 Once the rationale for Stunell Technology’s new brand had been set, the task was create a website that would appeal to the traget audience, was simple to navigate and had a fresh modern feel.